I firmly believe that January is for writers. It’s bright and clean and full of hope, and it’s often so blessedly forbidding outside that I have no qualms about feathering my nest and making another cup of tea to fuel a long morning, and then a long afternoon, and maybe even a long night after that, of uninterrupted dreaming on paper. 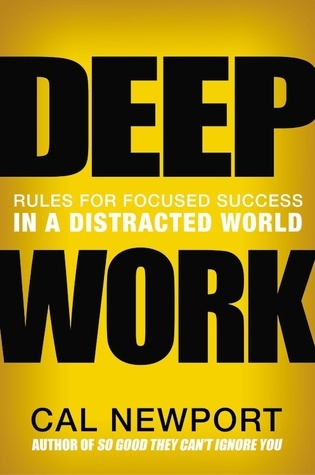 Earlier this month, I read an excellent book that changed my life: Deep Work by Cal Newport. The author’s premise is that the ability to do focused, uninterrupted, meaningful work is rare and valuable. This resonates deeply with me. I’ve long had a habit of hibernating: several days spent diving deep into an editing project or a business idea and trusting that everything else (email, dishes, mail, phone calls) will work itself out when I can get to it. The most important thing is the work. Deep Work validates that conviction and has inspired me to define my periods of deep work and shallow work better. It also brought to me, in a flash, a framework for the mentor service I’ve been offering to a few select clients over the past year. That clarity was a welcome gift that I’m looking forward to sharing with more writers over the coming months. The most interesting element of this book’s influence on me, though, has been the steady desire and ability to write nearly every day. Maybe it’s because I ordered a box of my favorite pens and switched to a respectable notebook for my daily notes and to-do lists; maybe it’s because I love a new year and January is my favorite month. Maybe it’s because the work habits and routines I’ve forced upon myself over the last nine years of sole proprietorship are making it easy to follow the advice in this book. Probably all of that and much more. In any case, in the event that you too are giving extra energy and attention to your writing practice this month, I thought I’d share my top three books about work habits and productivity. They’re listed in the order that I read them, and I cannot recommend any of them highly enough. Each one is a life changer! Have you read any of these? What are your favorites? I would love to know. I hope your year is off to a happy start, writer. Let’s stay in touch.